Here’s a link below to the current brochure in .pdf, archived at this site. (internal link). Sharon holding chalcedony in Goldfield at Bryan Smalley’s Hidden Treasure Trading Company. Note her truck’s new personalized plates. 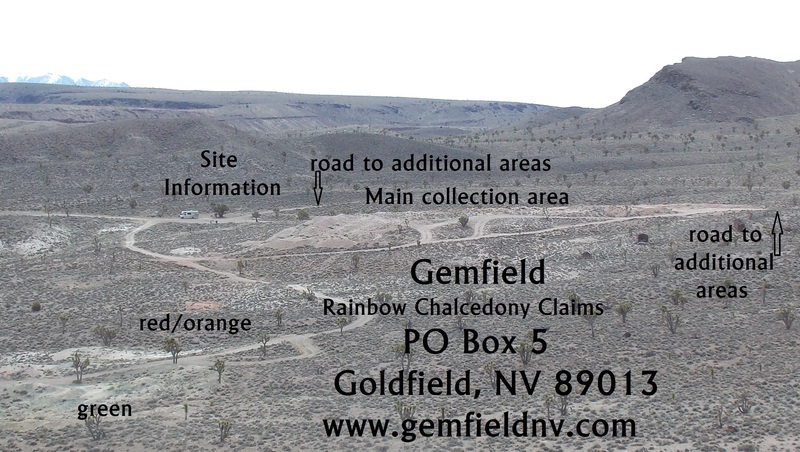 This entry was posted in non-fiction writing, rocks and lapidary, southwestrockhounding.com, Uncategorized and tagged Gemfield gem claims, Goldfield, Rainbow Chalcedony Claims, Rock&Gem Magazine, Sharon Artlip. Bookmark the permalink.